Prank call with a tap. 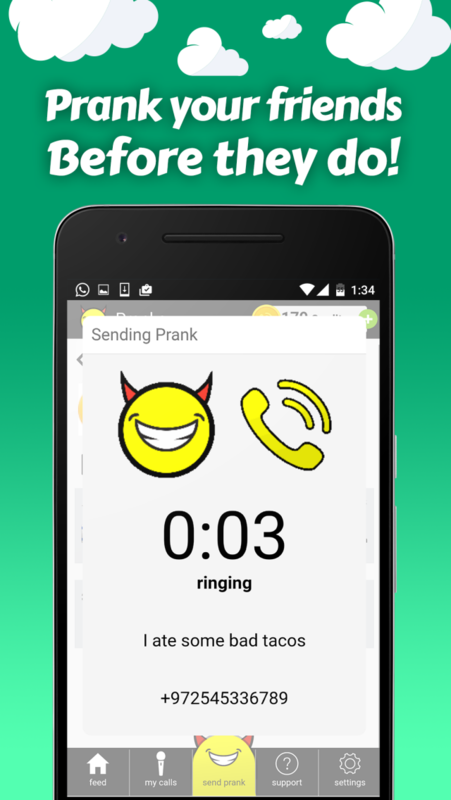 Pick a prank, dial a friend, lough out loud. ***** Every prank call is recorded. Share or download! Step 3: Hit send - Pranker will do the rest! We are an app development company from Tel Aviv, Israel.